A few days after the 9/11 attacks, a white supremacist, Mark Stroman, shot three men at a gas station in Dallas. He was seeking revenge for his half sister, who was killed when the Twin Towers fell. Two of the men died; a third, Rais Bhuiyan, survived, even after being shot in the face. Stroman was arrested, found guilty, and sentenced to death. A remarkable thing happened during the process from the murders to the scheduled execution: Rais Bhuiyan forgave Mark Stroman. A devout Muslim, Rais did not believe in returning violence for violence. He advocated for the man who shot him in the face to have his sentence commuted to life in prison. The State of Texas executed Mark Stroman in July 2011. Do not repay evil for evil, but take thought for what is noble in the sight of all. If it is possible, so far as it depends on you, live peaceably with all" (Romans 12:7-8). See that none of you repays evil for evil, but always seek to do good to one another and to all" (1 Thessalonians 5:15). Do not repay evil for evil or abuse for abuse; but, on the contrary, repay with a blessing" (1 Peter 3:9). Placed in that context Jesus' "Do not resist an evildoer" makes more sense. "You heard it said before 'an eye for an eye,' or 'a tooth for a tooth.'" These teachings from places like Leviticus seek to create a uniform code for justice, so that punishments do not come down as vengeance. Justice should be paid back in equal measure. So for example, do not demand the death penalty for someone who steals your car. Jesus takes this familiar teaching, an eye for an eye and a tooth for a tooth, and makes it harder: Do not resist an evildoer. Do not return violence for violence. The slapping of the cheek: this would be the back of their right hand against your right cheek. If you turn the left cheek as a response, you are forcing them to hit you with their right fist (the left hand was not used in these ways in Jesus' society). So by resisting you are forcing the other person to break existing cultural boundaries-- you are making yourself equal to your oppressor. Give your cloak as well: You're in a public space-- a courtroom-- being sued for your coat. Give that-- and your outer cloak: you'll be basically naked in a public place and will make the powerful feel uncomfortable. Go the second mile: Roman soldiers could force locals to carry their belongings, but for only one mile. Jesus says go ahead and do that, but also go another second mile-- beyond the custom. This act of defiance will elevate the oppressed and shame the oppressor. 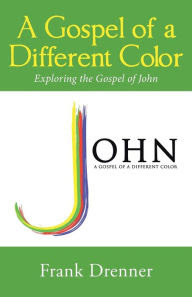 These teachings are not about living a sacrificial, generous life; they are about resistance. This was June of 1989-- Tienanmen Square in China. I had just graduated from high school. 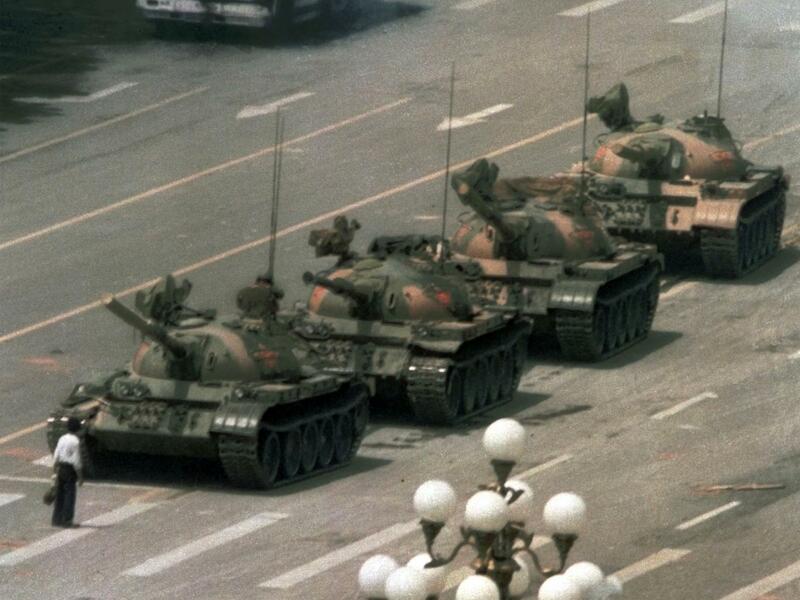 Tank Man blocked the path of these tanks, jumping in front of them for several minutes. He disappeared after this moment of resistance. No one ever heard from him again. Or one of my favorite Bible stories is the Book of Esther. The Jewish festival of Purim, celebrated this year March 10 & 11, remembers two powerful women from this story: Queen Vashti and Queen Esther. Vashti was summoned by the king to perform in front of a bunch of drunk men, including the King. She refused. She was replaced by Esther. Esther was Jewish, but kept her identity secret until one of the King's advisers planned to kill all the Jews. Esther stopped it. 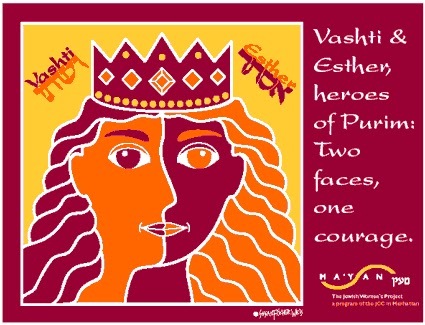 Purim is an fun annual celebration of these two women. Do you know this guy? 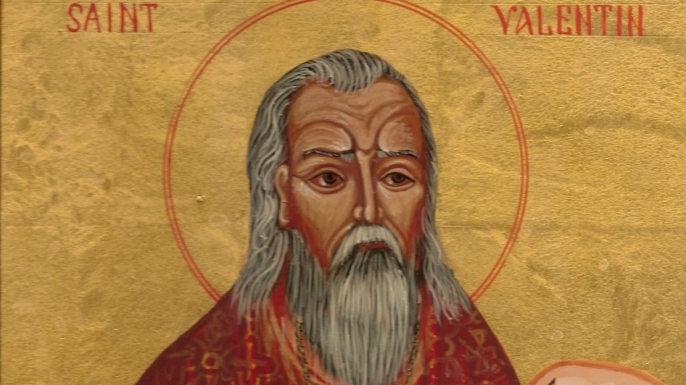 This is St Valentine, a Christian from the 3rd century. Valentine performed weddings for Christians, which was against the law, and sheltered Christians sentenced to death for their faith. He was arrested by the Romans, and after trying to covert the Emperor Claudius II was executed on February 14 in the year 269. In the year 496 the Church established a day to remember and celebrate his life, February 14. He's the patron saint of couples and greetings. In the face of evil, in the face of violence, Christians do not return violence or evil. But we also do not look the other way and accept. We resist. We stand tall. Our faith compels us to do this. How could Rais Bhuiyan forgive Mark Stroman? Because his faith taught him to not return violence for violence. Jesus said, "Be perfect, therefore, as your Father in heaven is perfect." God's grace perfects us throughout our lives, that we may be made perfect in love. So live out what you believe!